Maintaining the security of your data is a priority of Jelson Limited, and we are committed to respect your privacy rights. We undertake to handle your data fairly and legally at all times and we are also dedicated to being transparent about what data we collect from you and we may use such data. This privacy notice aims to explain the types of personal data Jelson Limited may collect about you when you interact with us whether you visit our developments, offices, use your mobile device or go on line. It also aims to explain how we will process, share and keep your data. Jelson Limited is a registered company in England and Wales (referred to as Jelson Limited “we” or “us” or “our”) gather and process your personal information in accordance with this privacy notice and in compliance with the relevant data protection regulation and law. This notice provides you with the necessary information regarding your rights and obligations, and explains how, why and when we collect and process your personal data. Jelson Limited is also registered on the Information Commissioner's Register of Data Controllers. If you would prefer we didn’t use your information to provide you with marketing materials in any of the ways listed above, then you have the right to tell us to stop and can do so by getting in touch with us using the details in the “Further details” section of this notice. You may still see adverts relating to Jelson Limited, even after you have asked us not to use your information for targeted digital advertising, because the social media site or advertising network may select you based on information they hold, such as your age and location, or websites you have visited, without using information that has been provided by us. You can control the kind of advertising which you see through the relevant social media sites directly. Disclaimer: The copyright and other intellectual property rights in this website belong to Jelson Limited or its subsidiaries and associated companies. Users are granted a limited licence to copy its content only for purposes directly connected with browsing it (e.g. loading it into a temporary cache). NOTHING IN THIS WEBSITE IS INTENDED TO BE A REPRESENTATION OR WARRANTY AND JELSON LIMITED EXCLUDES LIABILITY TO THE FULL EXTENT PERMITTED BY LAW FOR ANY LOSS OR DAMAGE ARISING IN ANY WAY FROM THE CONTENTS OF THIS SITE.  Jelson Limited has taken all reasonable care in the preparation of information displayed on this website to ensure that it is accurate but it is intended for guidance only and visitors to the website should always verify information contained therein before placing any reliance on it. The developments, house types, buildings and other structures depicted are for illustrative purposes only. Prices, designs, materials and layouts vary from plot to plot and are also liable to change without notice. Nothing in this site shall constitute a representation or offer of any kind or an invitation to subscribe for the purchase of securities in Jelson Limited. Jelson Limited has no control over the sites to which it links and only includes such links for users' convenience. Jelson Limited does not endorse the companies to which it links or make any representations about the websites to which it links. If you don't want to receive certain categories of cookies on this website, you can change your cookie settings via your browser; your browser help function will tell you how. This temporary, session cookie is used to identify you as a user between page loads. 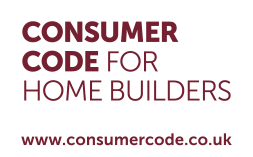 It is needed if you add items to your shopping basket or login to member-only areas. This cookie is destroyed each time you close your browser. This is a long lasting cookie that is used to detect whether your device requires the mobile or desktop version of the Jelson Homes website.